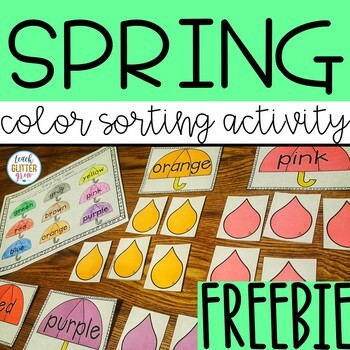 Practice sorting and identifying color words at the same time with this fun, free, rain drop sorting activity! 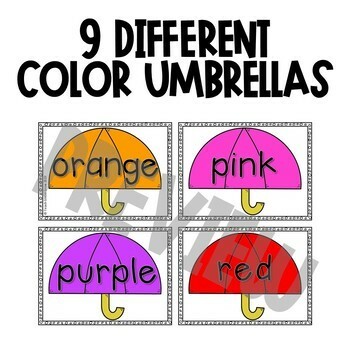 Students can sort the colorful raindrops under 9 different color umbrellas featuring the color words. 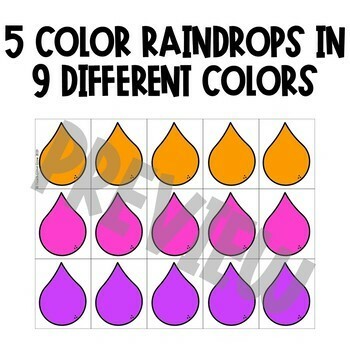 This activity is perfect for whole group, small group, as morning work, or as independent practice during centers. 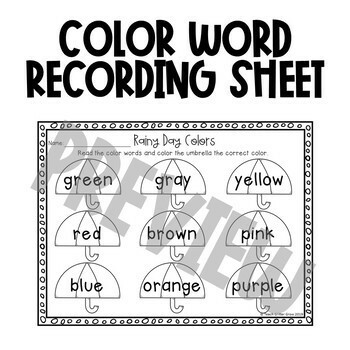 ♦ A color word worksheet for students to record their work. Click here to follow my store and get notifications when new products and FREEBIES are uploaded. New products are always 50% off for the first 24 hours so following me can save you money! Speaking of saving money, be sure to return to your purchases and leave feedback because every time you do, you earn points toward FREE future TPT purchases!